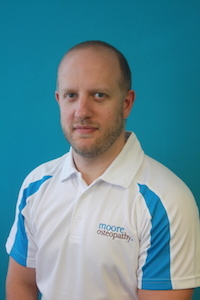 Richard is a Registered Osteopath with a first class BSc (Hons) degree from Oxford Brookes University. 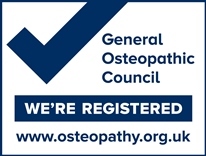 He is registered with the General Osteopathic Council (GOsC) and is a member of the Institute of Osteopathy(iO). 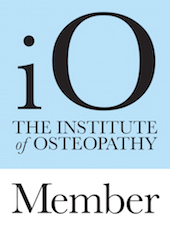 Richard is a proud father of two and has a special interest in how osteopathy can be used to help entire families, from very young children throughout life until the later years. His youngest ever patient was 4 days old and his oldest so far has been a young 99 and a half years! He’s been working with people’s health since studying remedial massage in 2005. He’s also an experienced kinesiology taping practitioner having completed KT1 and KT2 training from Kinesio UK and PowerTaping from RockTape. He also teaches seminars independently and for SportTape. Richard has appeared in a number of publications including the Daily Mail, Take A Break and Nottingham Evening Post discussing topics as varied as the treatment of babies, the effects of posture on health and how your bra can effect your body. He’s also had a number of kinesio taping articles published in SportEX Dynamics magazine. Richard presented at Primary Care & Public Health 2015 at the NEC, Birmingham to an audience of 800 midwives, discussing the use of cranial osteopathy in the treatment of unsettled babies.